From time to time, we at LockTech24/7 get calls from residents in Easton and suburbs to help when an issue concerning lock&key has arisen. We have been serving Easton long time providing unique locksmith and security solutions specific to the house we were working in. House lockout services in Easton PA provided to you by LockTech24/7 can ensure you fast emergency house lockout service. This includes also bedroom lockout or unlocking any other door in your home. We offer 20 minutes response time to emergency home lockout services in Easton and the surrounding suburbs. We are equipped with all the inventory, tools, and machines that we need to complete our work in your house. House Lockout Easton PA – When you lock yourself out of your house, you can call #1 local locksmith in Easton PA. We will come in a very short time to unlock the door to your home. Whether a front door or back door to your home, we can help. Unlock Apartment Door in Easton PA – While house can have multiple doors, apartment, usually have only one main door. This is the only way to get into your apartment unless you break a window. Apartment lockout is one of our fastest emergency service we give on a daily basis, please call now. Unlock Bedroom Door Easton PA – Many times we get calls requesting us to unlock a bedroom door. Bedroom lockout, same as house lockout can happen when you least expect. If this happens to you, please call our home lockout specialists to unlock your bedroom door in no time. Locked Out of a Safe in Easton PA – Our locksmiths can unlock residential safe box at your home when you call us at (484) 547-7345. Whether you have a Sentry Safe or Amsec safe, we can help. Locks in your house may need to be maintained from time to time otherwise they can break. We at LockTech24/7 are taking care of all type of lock services. This includes locks as; deadbolt, doorknob, entry lever lock, mortise lock, rim lock, as well as a patio door lock. In order to provide you with efficient residential lock services in Easton, we arrive with our mobile locksmith lab at your house and performing work on site. Don’t hesitate to call LockTech24/7 whenever you need residential locksmith Easton PA.
Re-key Locks of Your Home in Easton PA – When you need to re-key locks of your home, we are ready to re-key your locks for you. Our residential locksmith in Easton PA can easily re-key any residential lock you have on your doors. LockTech24/7 technician is available 24/7. Broken Lock Repair of a House in Easton PA – House locks repair service in Easton PA available at all time, whether you need an emergency repair service at night, as well as during a day. We can repair any residential lock you have on your door, whether a doorknob or a deadbolt. Residential Lock Replacement in Easton PA – If you would like to upgrade the security of your lock, we would be happy to replace your lock for better security. We carry several brands of locks, so we can show you the best locks we have. Mailbox Lock Service in Easton PA – If you’re locked out of your mailbox, or need a new key made, we can help. Please call us whenever you need a locksmith service for your mailbox, we are ready for your call. Broken Home Key Extraction in Easton PA – Broken key scenario can get you locked out of your home. In this case, we will come fast to extract the broken key, and make a new key to your home on the spot. Please call us now! If you want to install an electronic lock or a keypad lock on your front door, we can do it for you, in no time. When we install an electronic lock on your door, we also help you to program it to your specific pin code of your chose. 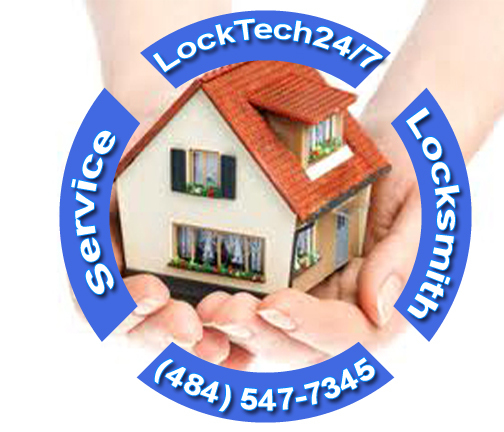 LockTech24/7 residential locksmith services here for you whether you live in Easton, Wilson, Palmer, and Fork Twp.